In the mid-1930’s, Art Babbitt was working at Walt Disney Studios on Hyperion Avenue in Hollywood. It was an exciting place for a creative, intelligent mind. It masqueraded itself as a mere animation studio, but is was really a bunch of brilliant artists, with Walt at the top. These people were building up an artform that was barely 30 years old. And to do that, you had to constantly improve. To get better, you have to try things no one has done before. 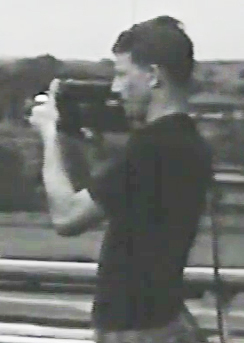 Besides bringing in an art teacher to the studio to teach and lecture, Art bought his own 16mm camera and shot film reference to be the first artist to study the science of movement. The method Art Babbitt developed to record the movements for Snow White has been used consistently all over the animation world, in all forms of animation (yes, even computer animation and stop-motion). Remember the Animation Renaissance that happened in the late ’80s? Check out the images below. This entry was posted in 1932-1941: Disney Glory Days, Disney, Film and tagged 1930s, Animation, Art Babbitt, camera, Disney Studios, Frank Thomas, Goofy, Hyperion, Marge Champion, Snow White. Bookmark the permalink.